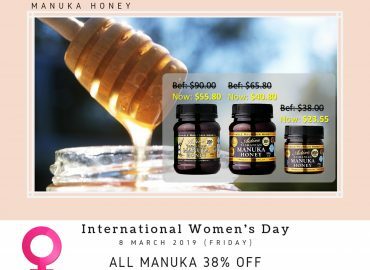 Forever Young SG Opening sale – Additional 20% OFF for nutritional food, organic carob, organic honey, organic muesli & granola, honey ale and more! Enter promo code at cart checkout for an additional 20% discount! Only for the FIRST 300 CUSTOMERS, valid from 2 April – 2 May.